Results: 1 to 10 of a total of 82 results. Does lonelyman335 belong in this group? just seeing who's out there I'm just your typical laid back kinda guy. Looking to make friends first and see where it goes. Would love to find my one and only. Does southerngent81 belong in this group? 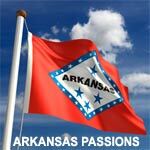 Country & Proud Raised most of my life in a rural area in Arkansas. Hated it as a teen but sure want to go back now. Love the sights and peacefulness of the outdoors in Arkansas.Ozark Mtn. a must see. Especially the fall colors. Does charli2conway belong in this group? Does mm2003 belong in this group? Mountains and rivers Love to fish, And camp . just need the right place . Does nudemasseur belong in this group? Does caorann belong in this group? Arkansas born and raised Looking for someone to grow old with and enjoy the beauty and nature of our beautiful state. Passionate, sensitive and full of life. Message me if you are interested. Does bettyjo46 belong in this group? Does redmomma belong in this group? Does ark18 belong in this group? New in town Arkansas is home for me. I just moved here and it has being like a have being living here my whole life. Does sexybutcruelxxx belong in this group?